In the current increasingly challenging and competitive environment, retailers rely heavily on promotions and offers to generate higher returns. Though promotions are powerful tools for enhancing sales, for many businesses, effective execution still remains a challenge. They fail to comprehend the negative impact of promotions, and in other instances, they find it difficult to understand why there wasn’t a noticeable lift in revenue despite aggressive promotion planning. This can be attributed to the lack of clear insight and disparity between activities associated with promotional campaigns. At Happiest Minds, we enable retailers to derive maximum gain from promotions through promotion analytics. Our solutions offer valuable insights that facilitate better planning, assessment, forecasting, tracking and execution of promotional campaigns. We connect the customer, the product and the retail organization on a centralized platform, giving a single view of the promotion to all decision makers. The promotion, customer transactions and inventory are managed and viewed on a single platform. Happiest Minds focuses on targeted campaigns to accelerate revenue generation. We offer our clients across industries powerful analytics that drive these campaigns even under complex circumstances—very short shelf life of certain products despite prolonged time to market is one such example. Our solutions intelligently consider the history (data from earlier promotions) and future (investment and inventory forecasting) to plan promotional campaigns effectively and generate more leads. Neural networks, hybrid models and fuzzy logics help infer trends and forecasts. We leverage our machine learning and deep learning expertise to offer accurate insights that help facilitate rewarding promotions. We perform market basket analysis using the Apriori Algorithm, and algorithms like ARIMA and Holt Winters for forecasting. 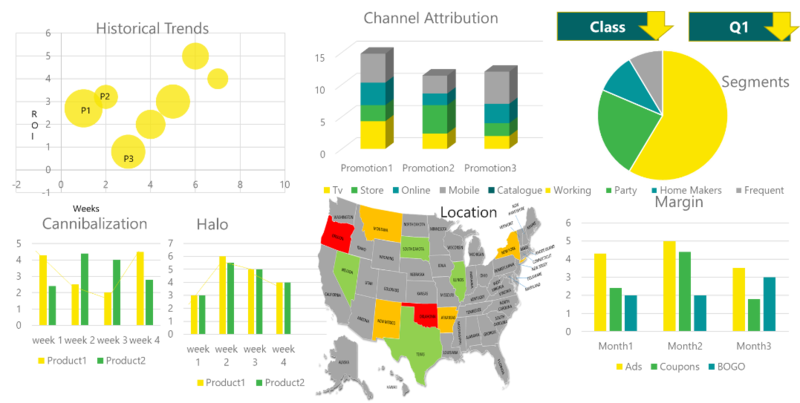 By measuring performance, we help retail organizations to explore their strategic potential to the fullest. We offer them the competitive edge by running promotional campaigns in the best manner. Was the promotion or a certain advertising channel responsible for the surge or decline in sales of promoted products? Did the promotion have an impact on sales of a product even weeks after the promotion ended? What type of alternative scenarios could have been considered to maximize return on investment? What marketing tactic within the marketing mix was responsible for driving traffic to the promotion site? 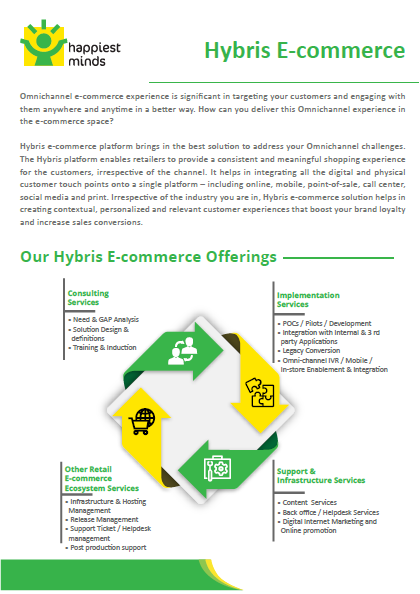 Omni5 solutions from Happiest Minds provide a five faceted approach to accelerate the retail omnichannel adoption and transformation for retail enterprises..